OOPS: Governor Beebe and HP exec in front of the Conway facility. 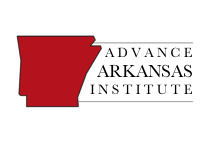 Once again, the Arkansas Economic Development Commission’s attempts to subsidize Arkansas’s economic development have proved to be wonderful for special interests — but disastrous for taxpayers. Hewlett-Packard announced yesterday that they are cutting close to 500 jobs at their government-subsidized Conway facility. Notably, this is the facility that AEDC Director Grant Tennille has identified as an AEDC success story. Rep. Stephen Meeks asked what the return on investment was on the governor’s Quick Action Closing Fund, which prompted Tennille to discuss his thoughts on faith and evidence as reproduced immediately above. Instead of supplying the requested figure, Tennille gave the example, near Meeks’s district, of Hewlett-Packard’s taxpayer-funded economic development success – in my opinion, an explanation similar to that of a poker player who is intent on relating anecdotes about the big hands he won but who is less talkative about his losses. Meeks responded to Tennille’s invocation of Hewlett-Packard by asking if Tennille thought his anecdote was the exception or the rule, pointedly underscoring that we won’t be able to discuss these matters meaningfully until we have actual numbers. Tennille then replied with more anecdotes. Unfortunately for Tennille — and taxpayers — we now have some numbers; it appears HP’s economic success has been oversold. When the plant was announced, Governor Beebe said the news “represents so much more than mere economic development,” but apparently it didn’t represent even that. The HP news comes just a week after Nordex, another AEDC/Beebe experiment, announced that they were closing up shop. 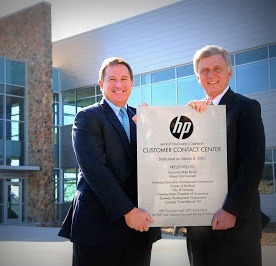 It also comes just a few years after HP promised to bring “1,200 jobs” to the Conway area. We can’t tell you exactly how many employees they currently have, even though taxpayers invested millions in this project: HP has a policy of not disclosing their employee counts. All we know for sure is that they have 500 fewer employees than they did. Just adding up the cash we know they received, that’s $12.2 million from taxpayers. This does not include the $5 million in industrial park prep or the totals of the various incentives that are undisclosed. I am saddened by this and my heart goes out to all of our neighbors in Conway who will be affected by this news. But I do hope that this latest AEDC failure can, once again, serve as a lesson to all Arkansans: these taxpayer-funded business experiments only create the illusion of economic growth — but their success in wasting millions of taxpayer dollars and sucking valuable resources out of our economy is very real. When the HP experiment was announced, Governor Beebe (speaking of the bidding war to get HP to come to Conway) said “We would not have been in the market without incentives.” Quite an admission, when you think about it: take away all of the government goodies and the facility never would have come to Conway. 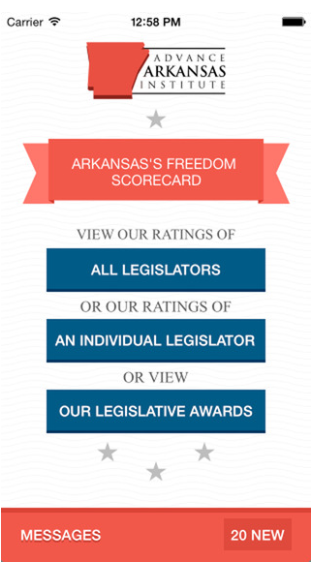 A more realistic, free-market perspective would suggest that if our business climate won’t entice a business to come to Arkansas on its own, then our business climate may not suited for that business and probably will not be able to sustain it long-term. The incentive that HP received to locate here was artificial and political, rather than being driven by human desires to buy and sell things — that is, those wants and needs which ultimately determine the fate of any business. Unfortunately, we didn’t get a realistic, free-market analysis from Governor Beebe: he’s a lifelong politician who enjoys a risky business venture, anxious to display his gambling prowess and entice a temporary business to move into our state. The problem for taxpayers is that he’s chasing his losses with our money.